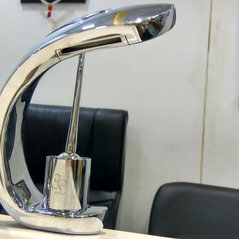 Professional Information:We are the importers of variousd products and services from United Kingdom and China and have a dedicated team of designers which design products related to faucets and sanitary ware that are very unique and different from the products that are available in the market. Also, Make Bathroom Management team is enriched with 30 years of expertise and constantly strives to make their products better with each passing day with the ever-changing market scenarios. They believe to design and provide the services in a professional manner in the field of designing bathroom and bathroom related products.